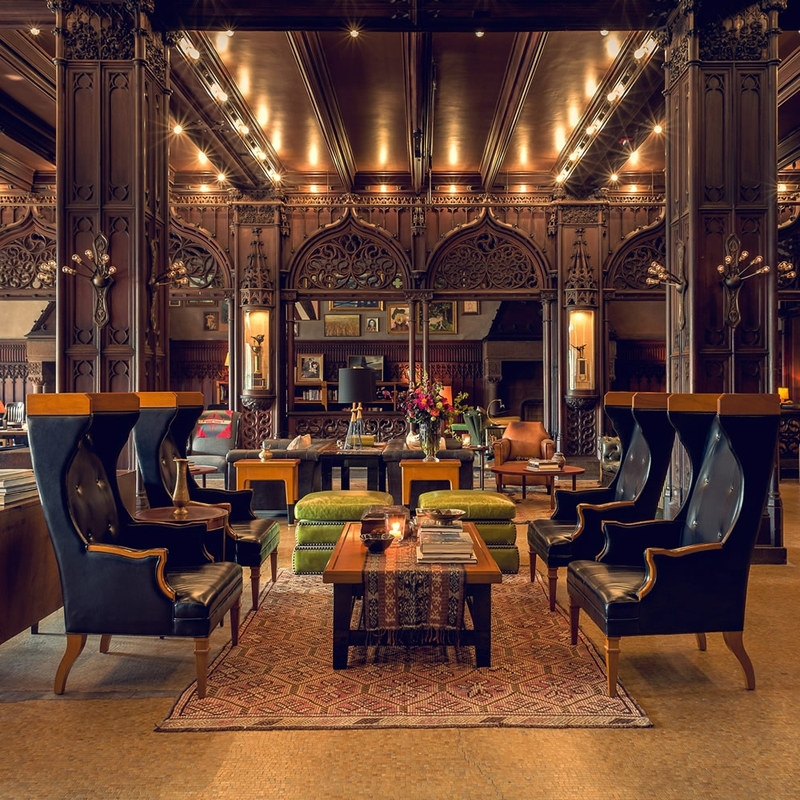 Consultants: Jones Lang LaSalle, Roman and Williams Buildings and Interiors, Forefront Structural Engineers, Inc., MacRostie Historic Advisors LLC, KJWW, Wiss, Janney, Elstner Associates, Inc.
Chicago fell in love with Hartshorne Plunkard’s renovated Chicago Athletic Association Hotel when it opened in 2015. The impeccable detailing and quirky use of reclaimed building materials makes the interiors irresistible. 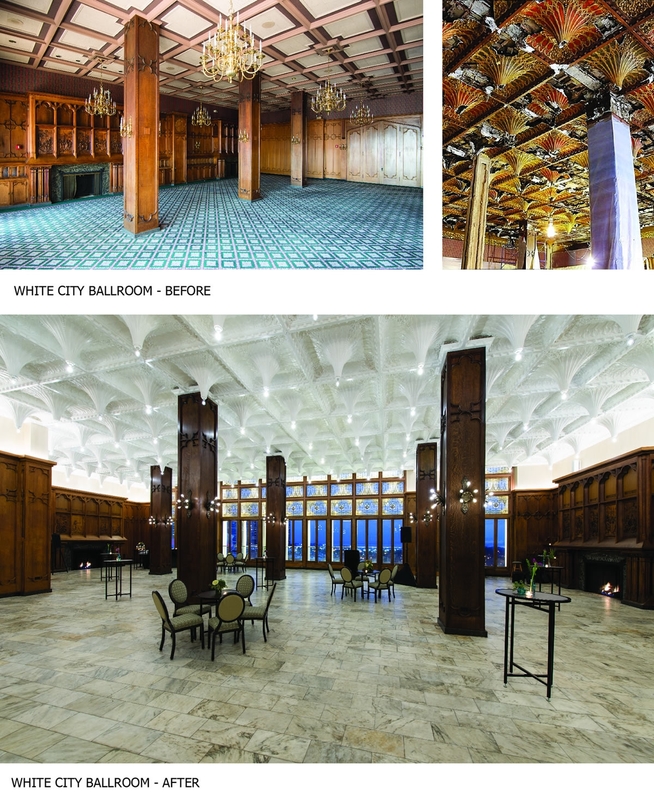 Jurors agreed, citing the white stalactite ceiling of the White City Ballroom: “The idea to go back to the old ceiling and restore it … what they did makes the room look quite modern,” one juror commented. The jury was also impressed with what visitors don’t often see: the building features entirely new mechanical, electrical and plumbing systems. “How on earth they accomplished that is incredible,” a juror exclaimed.